SoCap gave EPBAB a Performer Spotlight! Check us out! It’s another performer spotlight! This time we’re checking in with Brie Watson& Gillian English of Exit, Pursued By A Bear. How would you describe your group? 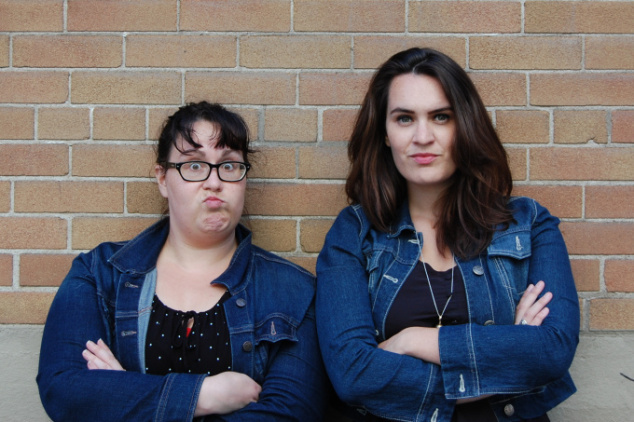 Bladder-busting improv duo of classically trained Shakespearian actor Gillian English and classically trained doofus Brie Watson take you on an adventure into the world of the smart and silly; the smilly! Guided by dynamic chemistry and fun and relatable characters, EPBAB delight and entertain with unconventional world-views and stories that’ll leave you in stitches. EPBAB headline a monthly comedy show at the Social Capital Theatre in Toronto every 4th Thursday of the month & have been on NOW Magazine’s “Critic’s Picks” list. Tell us a bit about the show.